Any time I get the chance to work with a handmade shop run by a mama, I jump on it. I'm really amazed by the talents given to certain women and am even more amazed that moms can balance motherhood and running their own business. Moms are the queens of multitasking, amen? I actually met Abby from Deen Austin Threads through my local moms group and I couldn't wait to get Lucy in some of her products! If you know anything about Austin you'd know it is known for hipsters and eclectic living (and it is the best city in the USA, duh). It isn't rare to see toddlers dressed in skinny jeans, TOMs, and Bob Marley t shirts. Austin is cool and I love it. 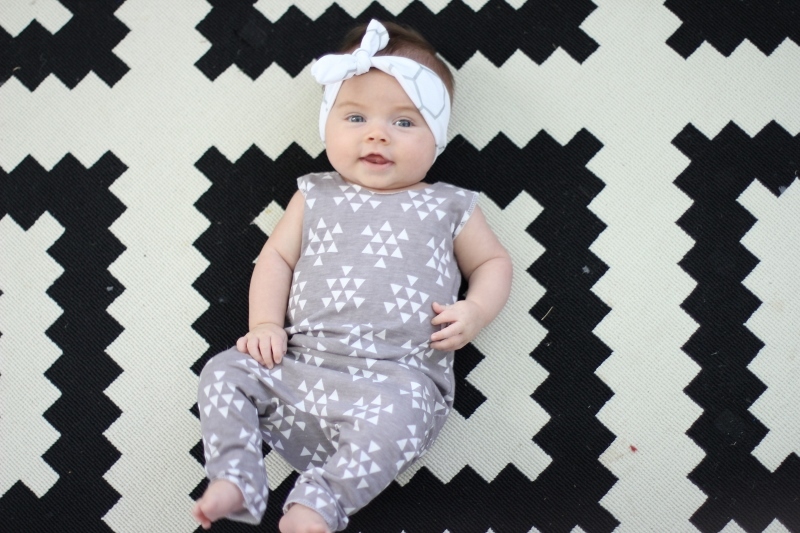 Deen Austin Threads offers handmade modern rompers, shorties, loveys, headbands, and more! I love that most of the items Abby makes are organic fabrics and gender neutral (because you know the Hart family will grow and this mama love hand me downs!). 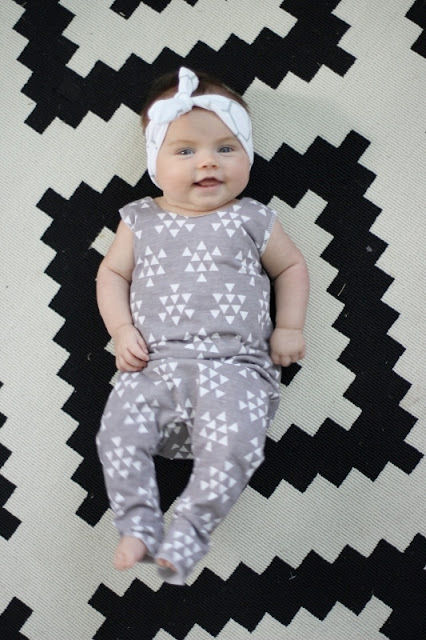 Sure I love dressing my babes in Target and Old Navy but I love even more, dressing them in unique, one-of-a-kind outfits. 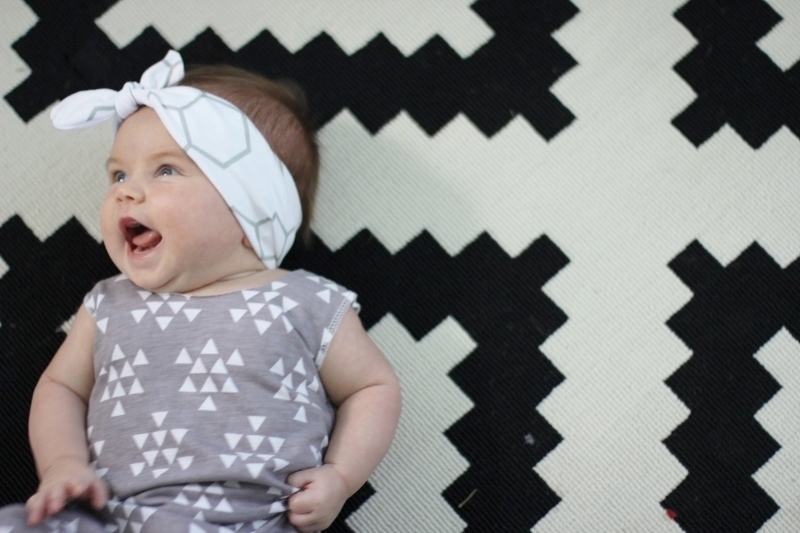 Okay enough talking, time to overload you with pictures of my gorgeous little lady sporting her hipster swag. After you've oogled over these pictures, head on over to Deen Austin Threads and outfit your little one! Lucy is in this gray romper, hexigon bloomers, and matching knotted headband. 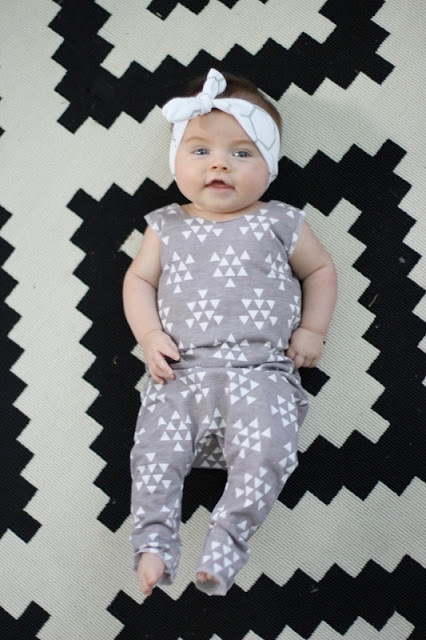 The romper is so soft and stretchy for sweet baby skin and the headband is flexible in size (I make babies with big heads so it can grow with her!). As you can see, Lucy girl was very happy to be sporting her new Deen Austin Threads items. 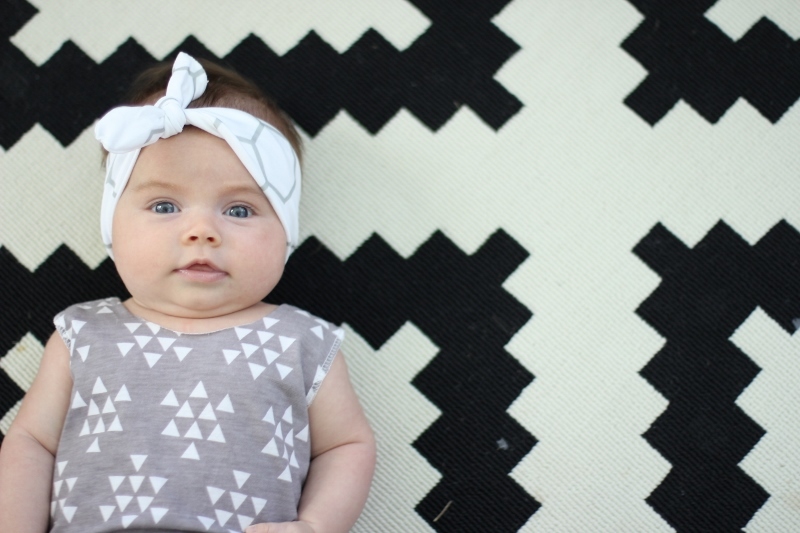 I just have to say you have the most beautiful babies!